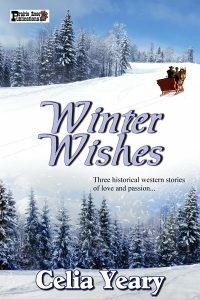 A collection of three wintry western short stories that are sure to warm your heart! Victoria yearns for the love of one special man. However, rancher Cade Hollister treats her as a friend, so she follows his lead. As she works alone in her cold dress shop on Christmas Eve, he stops by to visit, and walks her home. At the door, he gives her an unexpected kiss. Cade has loved Victoria for a long time, but he's never found a way to tell her. This Christmas, though, he takes a chance. Will his surprise gift make her understand how much he loves her? Ross Davis has been in love with Anna Morrison for years, and he believes she feels the same. But every time he’s asked her to marry him, she sadly rejects his proposal. Determined to ask one final time and learn the reason for her refusal, they both learn something about each other that changes everything. On this blustery winter night, the secrets each of them has kept are told, and Anna learns that Wishes Do Come True! Cattleman Ryan Cameron attends The Cattlemen’s Ball after the big sale. He’s done well at the auction, but when it comes to dancing, he doesn’t know how—so he asks a beautiful girl to teach him! Miss Olivia Westmoreland is instantly taken with the young, handsome cattleman and all too happy to show him the steps he needs to know. When Ryan’s rival, Paul Wellington, tries to steal Olivia away the night ends on an unexpected note for everyone, and The Cattlemen’s Ball will never be the same!